Workers' compensation is a type of insurance that provides compensation to employees that are injured on the job. Most people are familiar with the idea of filing a workers' compensation claim when they've been injured on the job, but many are surprised to learn that their injuries get them more compensation through a personal injury claim. At Foley Law Firm, our experienced personal injury attorneys determine the right legal course of action by explaining workers' compensation claims versus personal injury claims. If you've been injured on the job, contact our Scranton, PA practice. Workplace injuries can cause employees to lose weeks or even years of pay, accrue significant medical bills, and cause permanent disability. Due to the potentially serious impact on quality of life, it is important for those injured in a workplace incident to receive the maximum compensation for their injuries. Many people think they have no choice but to accept workers' compensation to help them make ends meet during their recovery. However, seeking workers' compensation isn't always the best course of action. Sometimes a workplace injury happens because of an employer's or other party's negligence. In this case, a personal injury claim may offer greater compensation to an injured worker than workers' compensation. Before filing a workers' compensation claim, it is important to understand your options. Let's take a closer look at the difference between workers' compensation and personal injury claims. Workers' compensation is different from a personal injury claim in that the person injured on the job does not have to prove who is at fault or what caused his or her injury. Workers' compensation may apply to an injury on-site or off-site. An off-site injury may be covered by workers' compensation if the incident occurred while completing tasks for the job. For example, an employee who is injured while delivering work materials to another office may receive workers' compensation benefits. Another key difference between workers' compensation and personal injury claims is that a person who is injured while on the job may still receive workers' compensation benefits even if he or she is at fault for his or her own injuries. Workers' compensation has some limitations as to how much compensation a person can recover. In general, workers' compensation benefits only pay for lost wages and medical expenses. In some instances, vocational rehabilitation may be covered and compensation may be given for permanent impairment issues. Workers' compensation will not compensate injured parties for pain and suffering and other non-tangible damages. 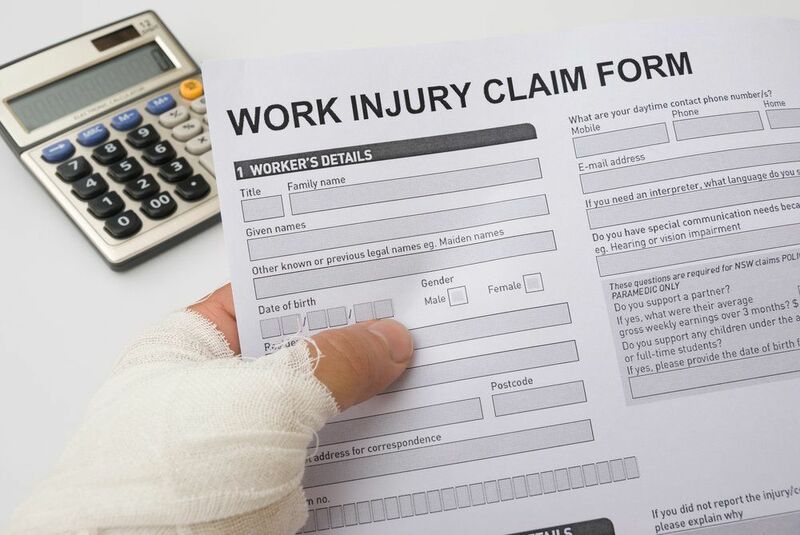 Personal injury claims are different from workers' compensation claims in a number of ways. One of the biggest differences is that personal injury claims require the injured party to prove that his or her injury occurred due to the negligence and fault of another party. In the workplace, negligence may include inadequate training by employers, a lack of proper safety equipment, or malfunctioning or poorly maintained equipment. A personal injury lawsuit may be brought against any party believed to be negligent and at fault, including an employer, a co-worker, or the manufacturer of workplace equipment. Additionally, filing a personal injury claim can help those who are injured on the job obtain greater compensation for their injuries. Through a personal injury lawsuit, injured parties can seek both punitive and compensatory damages, such as pain and suffering, loss of future earning capacity, current lost wages, and medical expenses. If you have been injured while on the job, it's important to speak to an experienced attorney about your legal options. Call our law firm at (570) 342-8194 to schedule your consultation.